“in a place where no one has a legal right to anything and everything is claimed by force, the map provided some assurance — if not of actual ownership, then at least of a shared record of the past that allowed people to plan together for the future”. 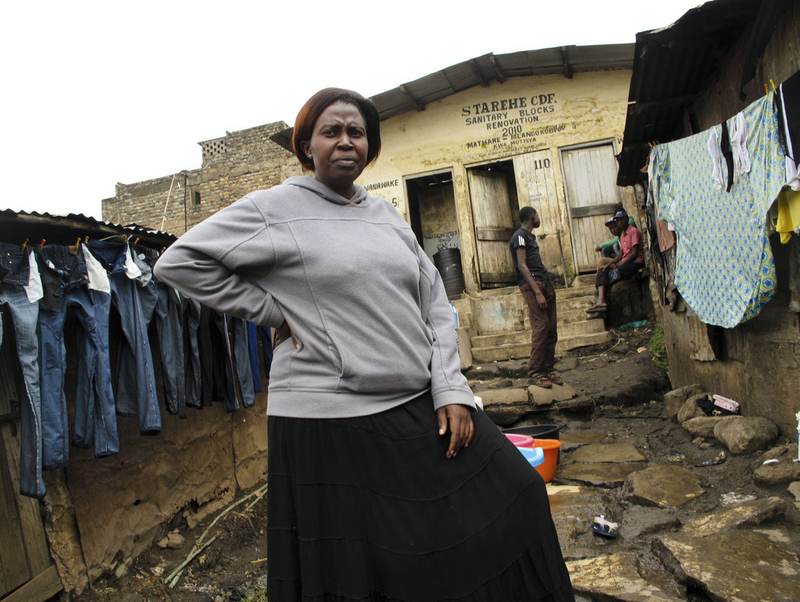 Slum mapper Emily Wangari stands outside a communal toilet in the Kiamutisya settlement of Mathare. This settlement has only four toilets for 4,000 residents. By mapping the problems, she hopes to pressure authorities to bring in more necessary services.